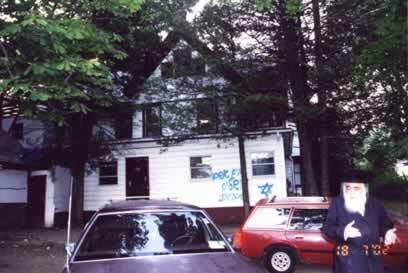 On July 18, 2002 an Anti-Zionist Synagogue in Monsey, NY was desecrated by vandals in an attempt to intimidate the synagogue leaders of Neturei Karta. The outer wall of Yeshiva Beis Yahud and two cars were found painted with graffiti on Ticha B'Av, during which Jews fast and commemorate the destruction of the first temple in Jerusalem. Blue spray-painted Stars of David were found on two cars. One was a van owned Rabbi Yisroel Dovid Weiss, a Neturei Karta spokes-man who lives behind the synagogue. Rabbi Pinchas Feldman's car also was spray-painted. A Star of David and the Hebrew words from Psalm 137:5-6 by King David of Israel (English translation of the Psalm: "If I forget you Jerusalem, May I forget my right hand. May my tongue cleave to the roof of my mouth, If I ever don't think of you, If I don't raise up Jerusalem above my highest joy.") were on a side wall. 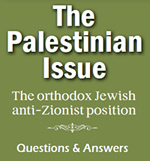 Similar incidents have occurred in the past following Neturei Karta demonstrations. "We are targeted because we expose the conduct of the Zionist establishment against the Torah. We always hold peaceful demonstrations." Quoted from Rabbi Chaim Sofer: "They are trying to harass us and stop us from our activism to dismantle Israel and Zionism, which has caused so much bloodshed and anti-Semitism against the Jewish people."